Do you need a professional, high-quality translation service? Need a rapid turnaround time? Then you need to talk to ApLingo. ApLingo provide professional translation services in a wide range of specialist subjects. We have the experience and capacity to provide high-quality translations to meet any corporate needs. 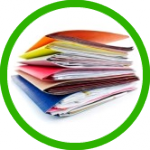 Email or fax your document for an accurate quote.